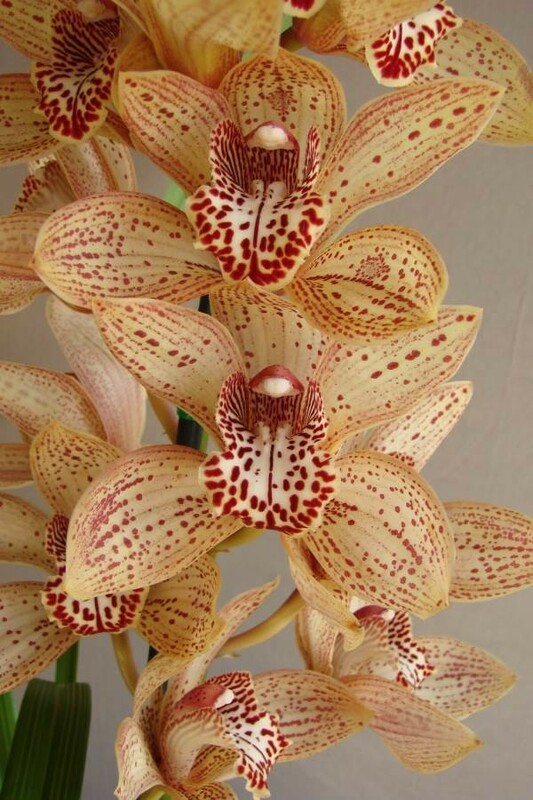 Pyjamas' is also an attractive coloured flower being spotted and striped in the orange shades with a red spotted and blotched labellum. Flower size is smaller than a lots of the other Darch Dots. Mid season blooming.